Like most writers, I’m a magpie, taking shiny things from the world around me and making them my own, absorbing and transforming them in my writing. So, in addition to the acknowledgements printed in the back of the book (reproduced at the bottom of this page), I wanted to acknowledge some of the sources, resources and references that were important to me as I wrote The Hope Fault. Some of these are quite specific references, to a line or phrase in the book; others are more general notes. I’ll add links and references to this page as I find (or create) them. If you have any comments, or would like more information about any of the resources I’ve mentioned, please do email me: books@tracyfarrauthor.com. To kick things off, here I am, introducing The Hope Fault. You won’t – as far as I know – find Cassetown, Little Casse Bay or Point Geologue on a map. Cassetown is a fictional place, made up for this novel. It is not the town of Vasse (nor Vasse Newtown) in south-western Australia, but it’s not far from there. It’s a little bit Cowaramup, a little bit Dunsborough (and a little bit rock’n’roll). There wasn’t, to my knowledge, a ship called the Géologue that visited that part of the world in the early nineteenth century, though there was one called Géographe (after which Geographe Bay was named). Thomas Vasse, a French sailor lost from the Géographe in 1801, gave his name to the town of Vasse, and inspired my fictional Édouard Casse. The chapter titled ‘At the bay’ was previously published in Good Dog! New Zealand Writers on Dogs, Stephanie Johnson (ed. ), Penguin Random House, Auckland, 2016. You can find more information here. The chapter ‘To the lighthouse’ had its beginnings in my short story ‘Once had me’, which was previously published in the New Zealand newspaper Sunday Star-Times, after winning that paper’s Short Story Award in 2014. Writing ‘Once had me’ gave me the character of Luce; thank small-g god for Luce. I borrowed (again) while writing The Hope Fault from stories my grandmothers have told me. Rosa’s trip to New Zealand in 1938 is partly that of my maternal grandmother, Betty McKenzie, who still talks about meeting ‘Guide Ana’, and hearing her sing. The life and career(s) of my paternal grandmother, Joan Farr – photographic colourist, photographer, artist – have always fascinated me, and continue to find a place in my writing. There are a number of authors and books that I read (and re-read) and referred to, or at least had firmly in mind, while I wrote this novel, and I’d like to acknowledge their influence on the shape and direction and detail of my work. In no particular order: Yvette Walker (Letters to the End of Love), Ellen van Neerven (Heat and Light), David Vann (Legend of a Suicide), Ali Smith (How to be both), Deborah Levy (Swimming Home), Virginia Woolf (To the Lighthouse), Kirsty Gunn (The Big Music; Thorndon: Wellington and Home: My Katherine Mansfield Project), Gertrude Stein (Tender Buttons), Jim Crace (Being Dead), A.S. Byatt (Possession; Angels and Insects; The Djinn in the Nightingale’s Eye), Janis Freegard (Kingdom Animalia: the Escapades of Linnaeus), Joan Didion (The Year of Magical Thinking), J.R.R. Tolkien (Tree and Leaf), Angela Carter (The Virago Book of Fairy Tales; Sleeping Beauty & Other Favourite Fairy Tales), Iris Murdoch (The Sea, The Sea), Geraldine Brooks (The Idea of Home: Boyer Lectures 2011), Helen Garner (The Children’s Bach), Dylan Horrocks (Hicksville). On making marks: India Flint’s book Eco Colour (Murdoch Books, 2008) was an early inspiration, when I thought this book was going to be about dyeing. India Flint remained an inspiration, more broadly, for her writing about mark-making and the relationship of land and landscape to textiles and art/craft. On naming, science in art, letters and fairytales: A.S. Byatt’s writing (especially those books listed above) was a great influence on my thinking and writing as I worked on this novel. On surfaces, insides, outsides and spaces: conversations with Junichiro Iwase, and my observation of his process as he created the artwork Lunette ‘ki’ for Mildura Palimpsest Biennale 2015, were invaluable to me in helping shape this novel. Find out more about Jun and his work at www.junichiroiwase.com. On comics, time and space: I was thrilled that Dylan Horrocks gave permission for a quote from his graphic novel Hicksville (VUP, 2010) to be used as this novel’s epigraph. I fell hard for comics after meeting and talking with Dylan and with Sarah Laing (in Christchurch, when we were all there for WORD Christchurch in 2014) and hearing them speak in sessions there and elsewhere, and comics became (along with the maps mentioned in this quote) an important element in the novel as I completed it during 2015. I read Scott McCloud on Dylan’s recommendation, and found my way to Will Eisner — they and their work all made me think and write about time and space and representation differently. I used the following texts as references and resources, to help me get the details right, or to help me more generally with ideas and mood. The 2008 film Rachel Getting Married (dir. Jonathan Demme) was a touchstone text (on families and parties and music) and early inspiration for this novel (I wrote a bit more about it here, shortly after Demme’s death in April 2017). Books by Scott McCloud (Understanding Comics. Harper Collins, NY, 1993) and Will Eisner (Comics and Sequential Art. Poorhouse Press, Florida, 1985) helped me read and write about comics (and think and write about time) differently. Rosa’s London life in the 1950s (Part II, chapters 19–22) took as resource, reference and inspiration the book Australians in Britain: The Twentieth-Century Experience (Eds Carl Bridge, Robert Crawford and David Dunstan), Monash University ePress, 2009, particularly the chapter by Angela Woollacott (Chapter 3: Australian Women in London: Surveying the Twentieth Century). The book is available online at http://bit.ly/AusBrit20C. I am grateful to the State Library Victoria for the ease with which I was able to (a) get a library card and (b) access from their collection Sidney Nolan: Catalogue of an exhibition of paintings from 1947 to 1957 held at the Whitechapel Art Gallery, London, June to July 1957 (Whitechapel Art Gallery, 1957), all in the course of one day I had in Melbourne. Unless otherwise indicated, page numbers refer to the print version of The Hope Fault (Fremantle Press 2017). 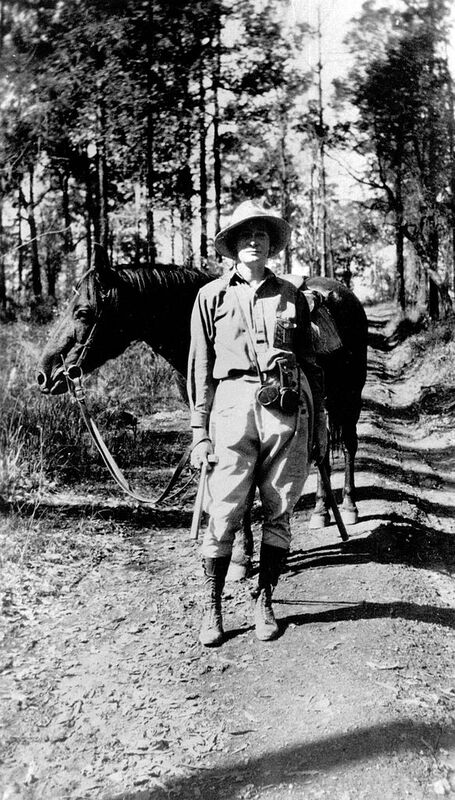 My Australian editor, Georgia Richter (Fremantle Press), pointed me in the direction of the remarkable Australian geologist and palaeontologist Dorothy Hill, and suggested that we name the retirement village in the novel after her (page 26, etc). What a legend (Dorothy and Georgia, both)! See http://bit.ly/DorothyHill. Kurt’s assertion (p. 62) that there’s ‘…something about primes, but three in particular’, and other ideas in the novel, reflect discussions in the ‘Stories, Long & Short’ session I shared with Peter Goldsworthy, chaired by Janet Shaw, at Mildura Writers Festival 2015. Iris references (p. 71) the title of Emily Dickinson’s poem ‘“Hope” is the thing with feathers’. ‘Vitric lithic and crystal tuffs sandstone / coarse basal conglomerate / marine fossils rare few beds of / fragmental plant remains’ (p. 72) quotes from the description of the Wairuna Peak Beds in the legend of Geological Map N.Z.G.S. Bulletin No. 53 Sheet S170 (Gore). 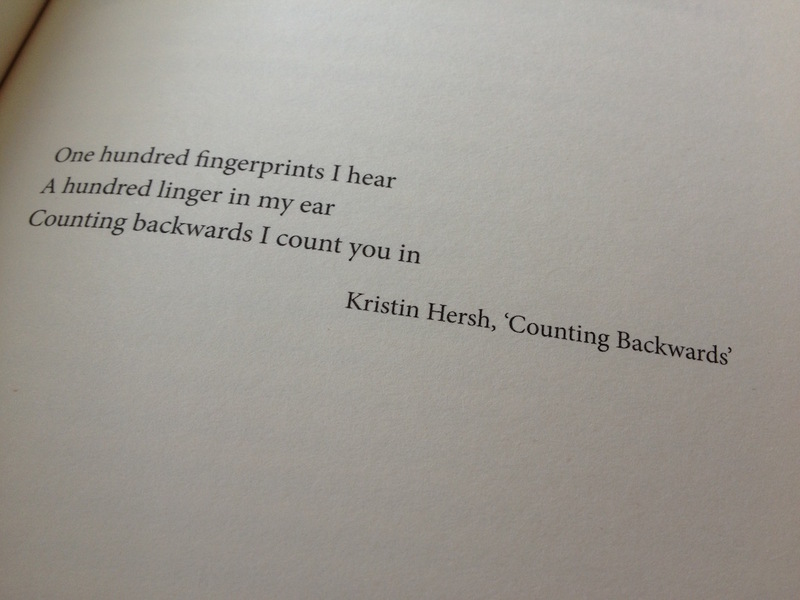 Grateful thanks to Kristin Hersh for permission to use the lines from her song ‘Counting Backwards’ as the epigraph (p. 109) to the second part of my novel. So often, as I sat down to work on this part of the novel, I had this much-loved song going through my head. It’s a song that speaks to me of memory and measure, and turning back. The final chapter of Joan Didion’s magnificent The Year of Magical Thinking (Alfred A. Knopf, 2005) influenced Rosa’s thoughts in the chapter on pages 130–131. Zigi’s letter (‘this is where my art resides’) (p. 153) was inspired in part by Dylan Horrocks Hicksville (VUP, 2010) (see Hicksville, p. 234). It also references (‘Each poem’s shape maps the page, a cartography of words…’) New Zealand poet Michele Leggott, from an interview on RNZ (available online online http://bit.ly/poem-shape). Zigi’s thoughts about home (‘my imagination was formed…’) (p. 166) were inspired by The Kid from Kogarah, interview with Clive James, first broadcast September 2013, ABC TV (read a transcript here). Rosa’s faery tale ‘The Hissing Swan’ (pp. 219–224) was inspired (as was my Twitter handle @hissingswan) by the lyrics of the song ‘Fairytale Love’ (lyrics: David McComb), from The Triffids’ 1989 album The Black Swan (Island Records / Mushroom Records). I wrote ‘The Hissing Swan’ at Varuna in 2015. Rosa’s faery tale ‘The Uncovery of Blue’ (pp. 228–230) was inspired by India Flint’s retelling, on page 22 of her book Eco Colour (Murdoch Books, 2008), of a story told to her when she was young of ‘the discovery of blue’. The title of the chapter ‘Deep grief, crouching’ (p. 260), and Kurt’s sentiments at the end of the chapter (p. 263), take inspiration from Iris Murdoch’s novel The Sea, The Sea: ‘I felt a deep grief that crouched and stayed still, as if it was afraid to move’. On page 277, ‘and his ghost may be heard, that jolly geologist’ is a misquote from Waltzing Matilda (lyrics: Banjo Paterson and others). I first saw the photograph of the ‘Boans shopfront, all lit up on Peace Night, 1919’ (which Iris encounters on p. 278) on Twitter (@MuseumofPerth). You can find it in the State Library of Western Australia http://bit.ly/Boans1919. The Marti Party Sponge (pp. 76, 304–307) has its origins in the recipe for sponge cake in Stefano de Pieri’s Modern Italian Food (Hardie Grant Books, 2004). Luce’s ‘… sea and sky that go blue, all the way to Antarctica …’ (p. 319) is a riff on the lyrics of a Moe Tucker song, ‘Blue, All the Way to Canada’ (lyrics: Maureen Tucker), from her 1991 album I Spent a Week There the Other Night. Here are those acknowledgements, as printed in The Hope Fault (Fremantle Press, 2017). 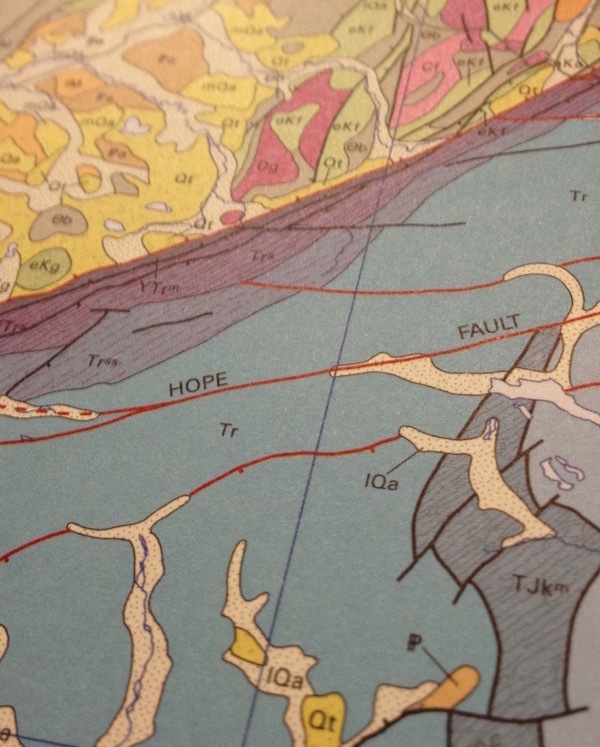 Take a look at the ‘biblet’ that Aardvark Bureau have put together for The Hope Fault. It contains resources, reviews, audio and video, sample chapters from the novel, and links to buy the book direct from online retailers. Click on the icon below to open the biblet in a new browser window.